The distinctly unique look of Angelim Pedra hardwood decking. Angelim Pedra is an attractive beige-brown with reddish undertones punctuated by its characteristic mineral spots ("pedra" or "rock" in Portuguese). If left untreated, Angelim Pedra Decking will gradually age to a lustrous silver-grey. It can be oiled or stained to retain its rich tan-brown color. This decking is available in 5/4 x 6. 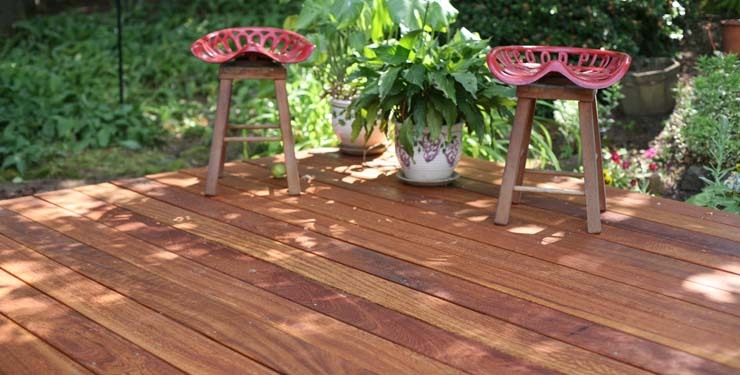 Envioronmental friendliness, stability, and easy staining make Angelim Pedra decking a well-rounded choice. 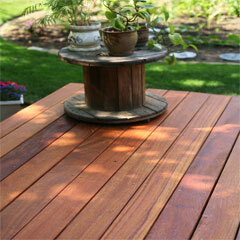 Natural wood decking made economical. Angelim Pedra Decking is a medium-high density hardwood which is kiln dried for maximum stability. It also easily absorbs stains and oils. Angelim Pedra Decking is very durable and resistant to both fungi and termites. Our Angelim Pedra contains no harmful chemicals and can be used near water with no worry of contamination. We've been using Angelim Pedra for Exterior Trailer Decking for many years - It's an incredibly durable and strong wood that works great for both high use industrial applications like wood trailer floors as well as exterior residential construction projects such as decking. An Angelim Pedra deck is an economical natural alternative to other decking options when the entire life cycle of the deck or outdoor project is considered. 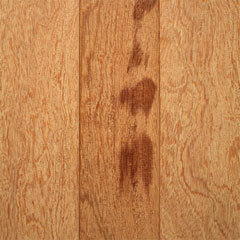 Its rich color and natural grain is breathtaking and is certain to provide a lifetime of beauty.